The Dean lab have an ERC-funded collaborative project (2014-2019) called MEXTIM ‘Measurement of temperature exposure and integration over time’. The aim is to define the thermosensors involved in vernalization and determine how they measure the complex temperature profile found in nature. They will also analyse how their function has changed during adaptation. All organisms have to cope with changing temperature and various mechanisms have evolved to protect cellular processes against thermal stresses. 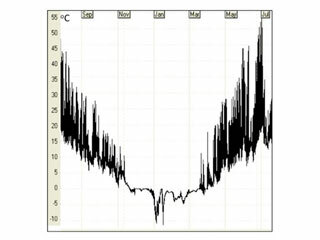 Many organisms also use temperature signals to align behaviour and development with certain seasons. 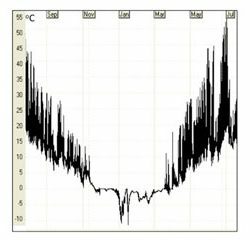 How specific temperature cues are extracted from fluctuating temperature levels is unknown but it implies the existence of mechanisms that enable long term monitoring and integration of the enormously variable temperature levels found in nature. 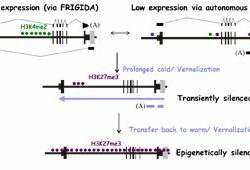 The Dean lab therefore intend to discover how variable temperature levels are measured and integrated over long timescales in order to provide information used in biological timing. 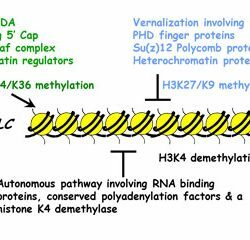 The project will exploit our knowledge of the multiple regulatory pathways determining quantitative expression of the plant developmental repressor FLOWERING LOCUS C (FLC). 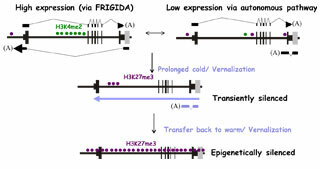 These pathways, which are all independently influenced by temperature, converge to regulate FLC via aspects of a co-transcriptional mechanism involving antisense transcripts and different chromatin pathways. The project will define the primary temperature steps (thermo-sensors) that directly regulate FLC and explore how they combine to record complex temperature profiles over many months. Their hypothesis is that different thermo-sensors monitor distinct aspects of the long-term temperature profile. 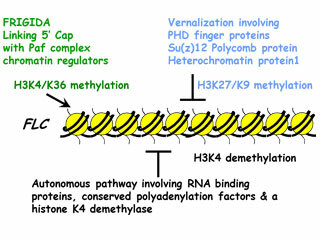 Their outputs would be integrated via accumulation of chromatin modifications at FLC with feedback and interconnection between the pathways providing reinforcement systems to record previous exposure.  The Dean lab are delighted to be working with Swedish collaborators Dr Svante Holm (Mid-Sweden University) and Prof. Torbjörn Säll (Lund University) together with two Msc students Catja Selga and Kristina Berggrens to facilitate the field experiments in the north and south of Sweden.